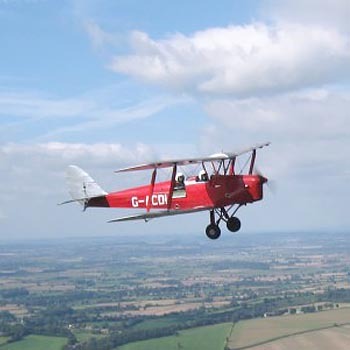 Fly in a tiger moth and feel the wind in your face, soar like an eagle, see the landscape like you’ve never done before. This is the experience of a lifetime – for yourself, or as that special gift that will be remembered long after it’s over. 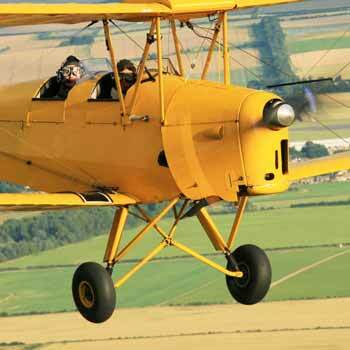 This fantastic Biplane Flight experience is one of the UK’s best Flying experience days. Buy it as a treat for yourself or as a top gift idea for that special someone. 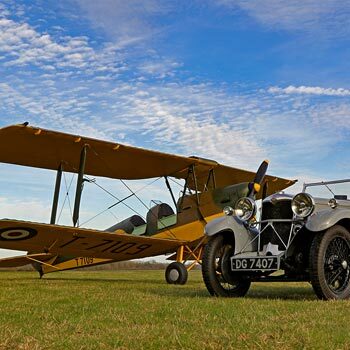 Well the de Haviland Tiger Moth is one of THE classic planes of all time, and well deserves its place in history. 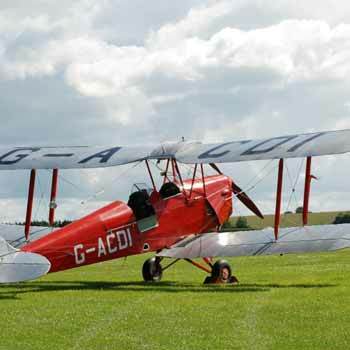 This responsive little biplane – yes it has two sets of wings! 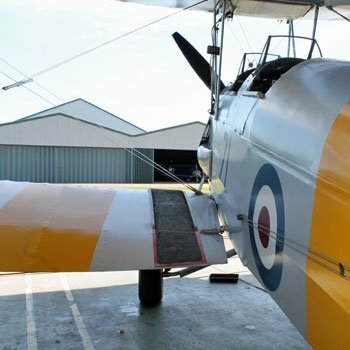 – is the one that World War II pilots used to train on before progressing to the legendary Spitfire, so it’s a serious flying machine dating back over 50 years to the days of your grand dad. 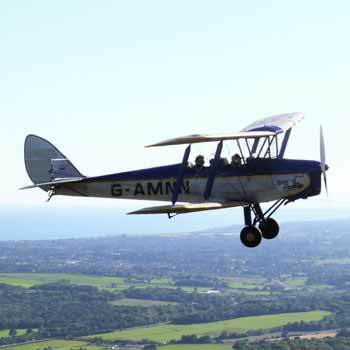 Flights vary in length and are priced accordingly, usually 15 minutes or half an hour in the air – so even the shorter one gives you time to feel the wind in your face and get to grips with this bad boy. You’ll get kitted out and have a safety briefing first of all, to make sure you come down in one piece, then it’s up into the blue yonder with your experienced instructor at the controls to show you what this machine can do. And before you know it, you’ll hear “You have control” as the pilot passes control of the plane over to you to put it through its paces. Open air flying like this is like nothing you’ve ever experienced before, and you’ll feel very much one of Those Magnificent Men in their Flying Machines. 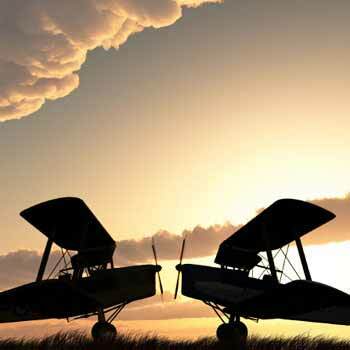 It certainly makes a change from a modern flying experience in a modern closed-in plane with seemingly every modern convenience, and will have you reliving and talking about it for weeks afterwards. So check out the offers in the list above, find the one you fancy and that suits your pocket, and it’s Chocks Away! !